Q. 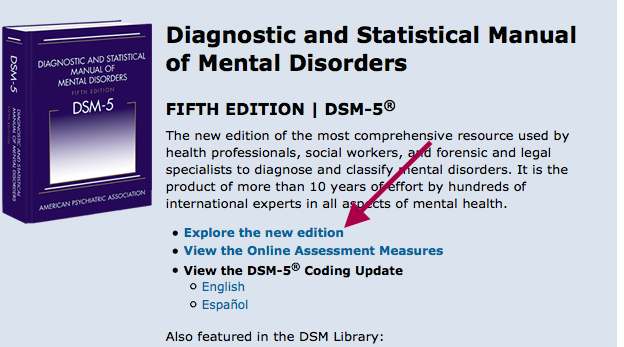 Where can I find the DSM 5 (Diagnostic and Statistical Manual of Mental Disorders) online through USC? DSM-5 (Diagnostic and Statistical Manual of Mental Disorders) 5th Edition (2013) is available through the database Psychiatry eBooks Online. You’ll be asked to log in using your USC ID and password. ﻿ Once you’re on the page, click on the link titled “Explore the new edition” to access the content.